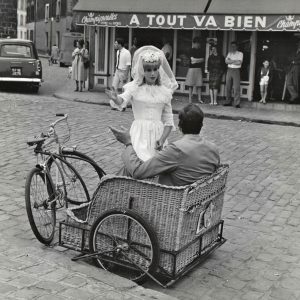 Catherine Deneuve gets direction, Roger Vadim directs, from a bicycle trailer. Brigitte Bardot rides a bike. Jean-Louis Trintignant invites her for Thanksgiving.